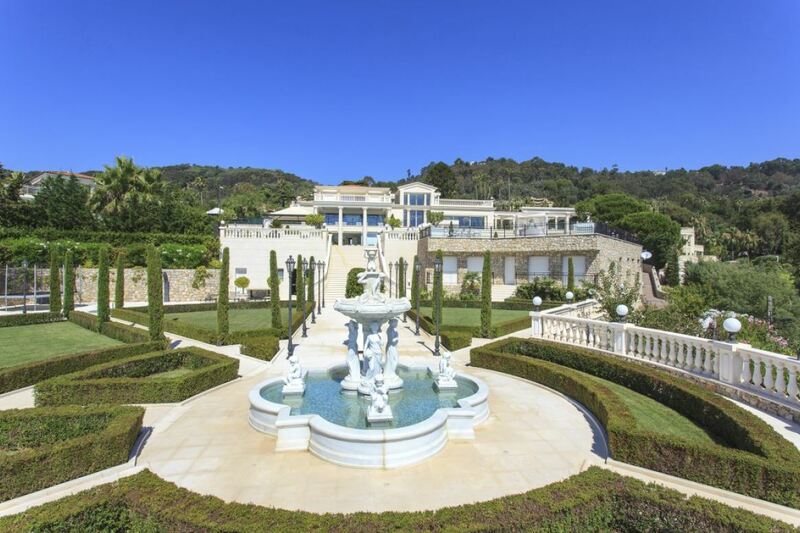 This magnificent property is situated close to the lively town of Cannes. 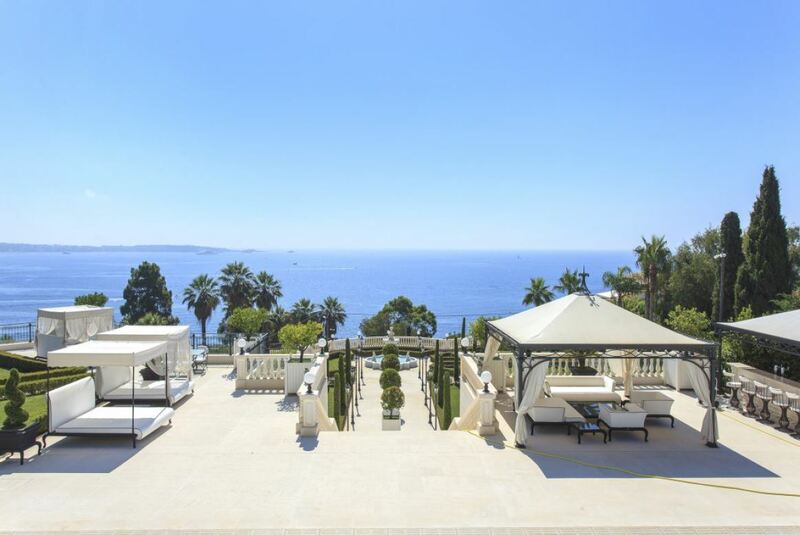 It features a spectacular panoramic sea views as well as two large swimming pools within incredible landscaped grounds. The main villa comprises of 7 beautifully designed bedrooms, each one with an elegant en-suite bathroom for added privacy and comfort. The bedrooms are spacious and bright with sumptuous furnishings and neat graceful decor. The master bedroom is located on the 2nd floor of the villa and features its own private terrace and large bathroom. The other 6 bedrooms are on the ground floor, opening in front of the swimming pool and sun terraces. 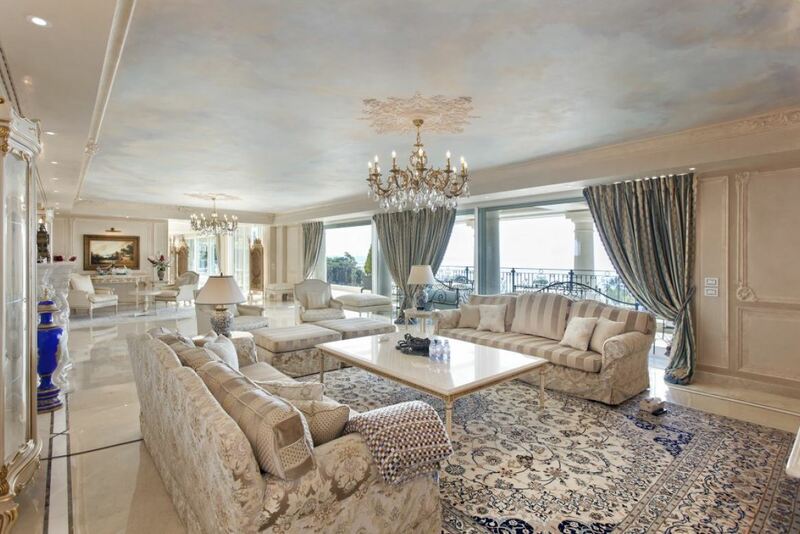 A generously sized living room is decorated with opulent furnishings with gentle oriental style touches. Chandeliers and refined fireplaces add to the grandeur of this stunning villa. The staircase leads up to the additional floors or guests can use the private elevator for easier accessibility. A professional kitchen includes the latest appliances and spacious worktops. Guests can also use a well-equipped fitness room. 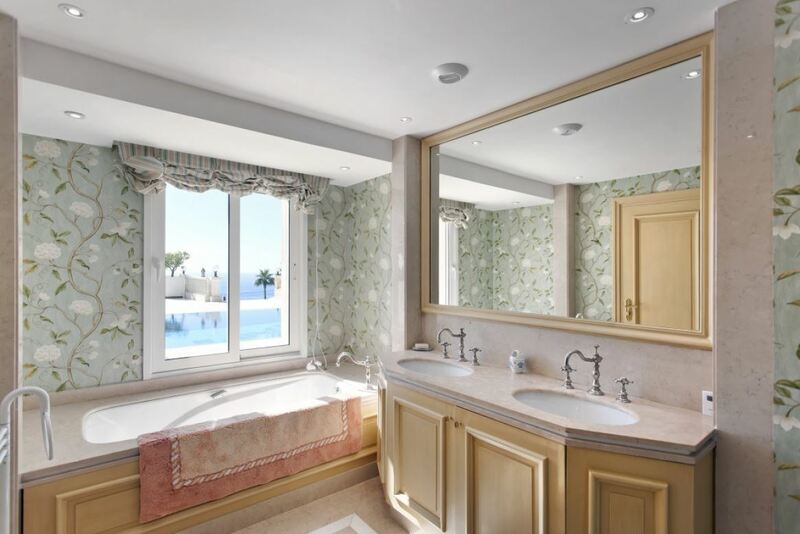 The second villa comprises of 2 bedrooms sharing a bathroom and toilets. An additional bedroom includes another bathroom. There are 2 living areas with plush seating and sophisticated furnishings. Guests have access to two well-equipped kitchens and an office.